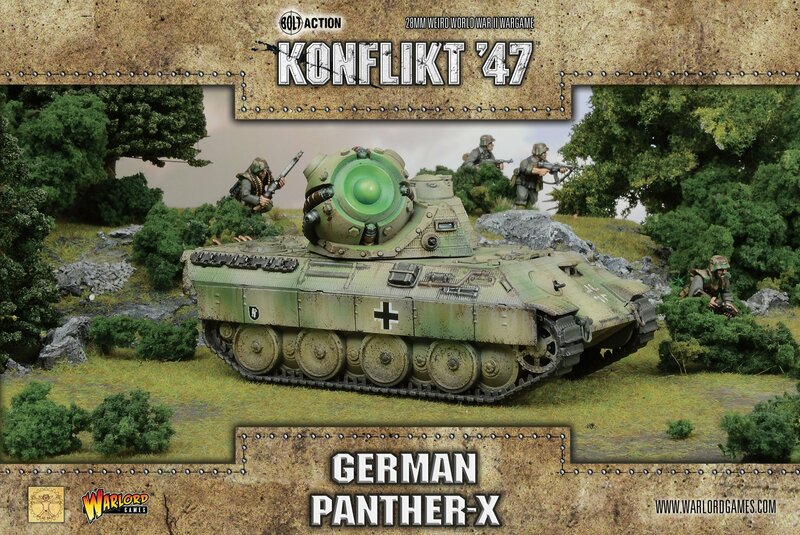 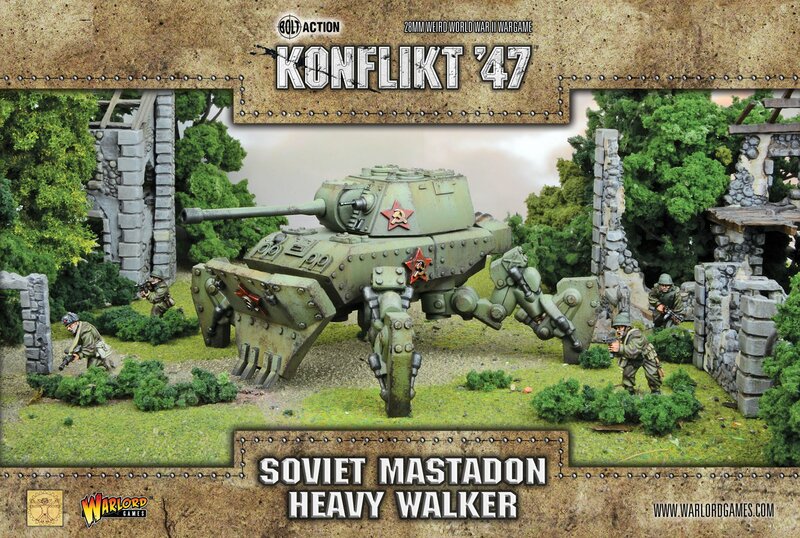 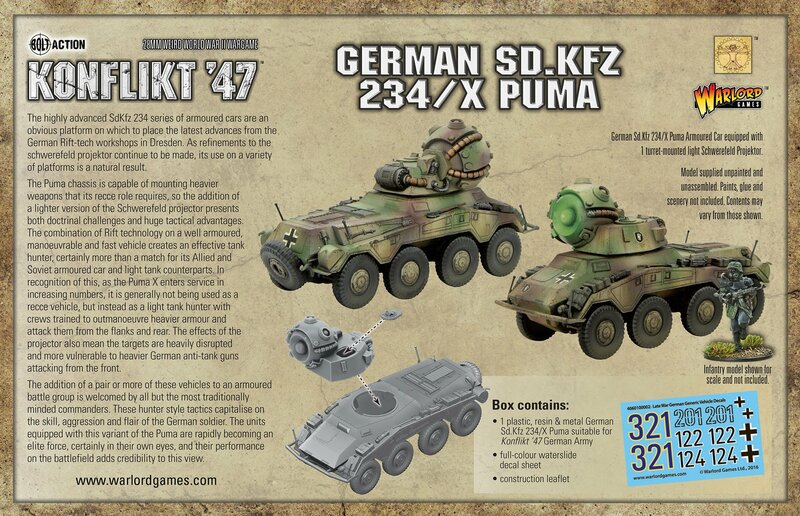 Warlord Games haben viele Neuheiten für Konflikt ’47 in ihrem Shop. 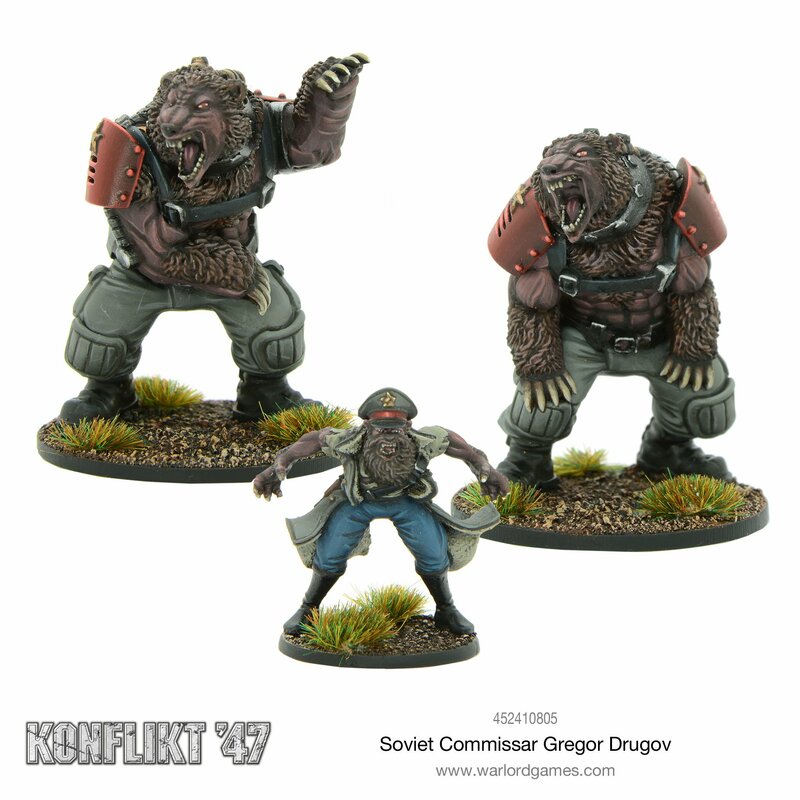 Commissar Drugov was always a large, brutal bully of a man who found a natural home in the Soviet Political Commissariat where his fervour and belligerent nature gained him rapid recognition and promotion. 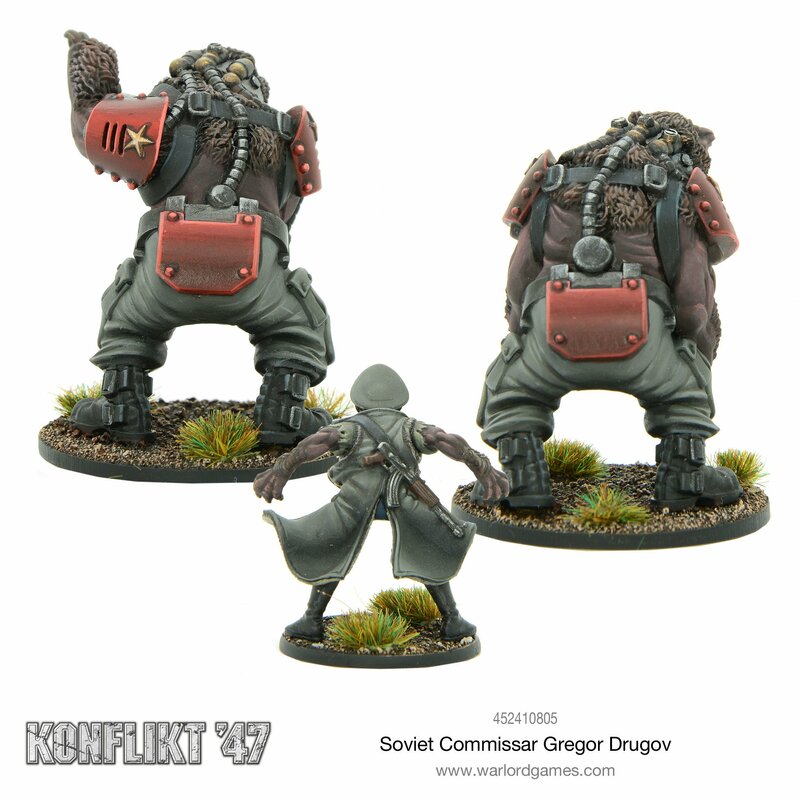 Commissar Drugov is equipped with an assault rifle. 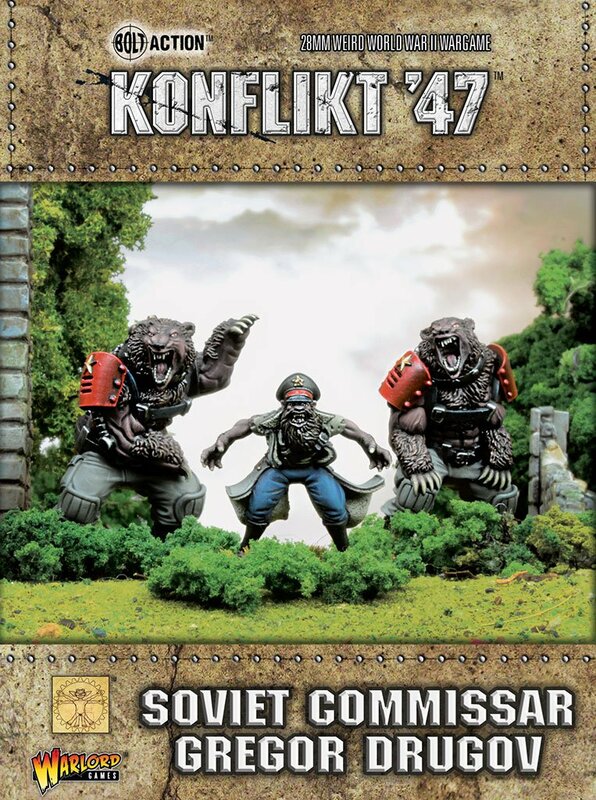 Drugov volunteered for an advanced version of the Ursine Programme and received a carefully modified treatment that appears to have delivered all the physical benefits of the procedure whilst reducing the bestial side effects. 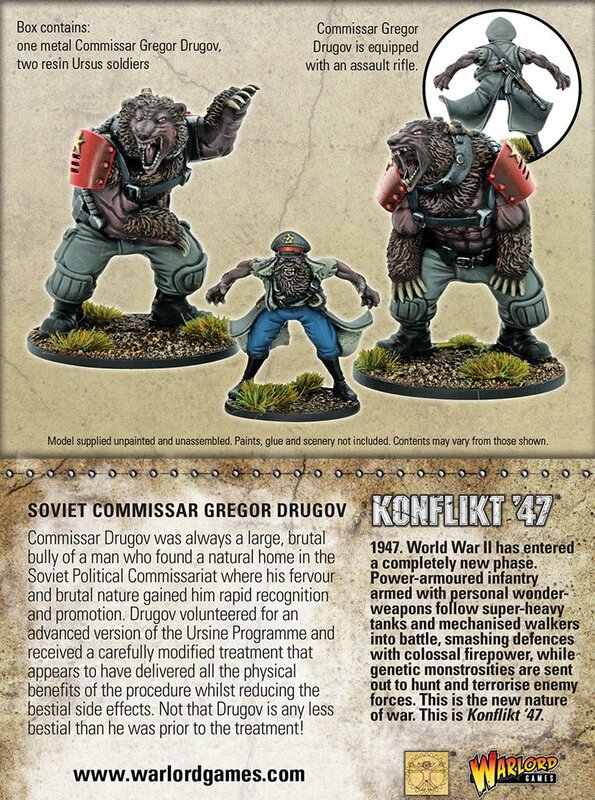 Not that Drugov is any less bestial than he was prior to the treatment! 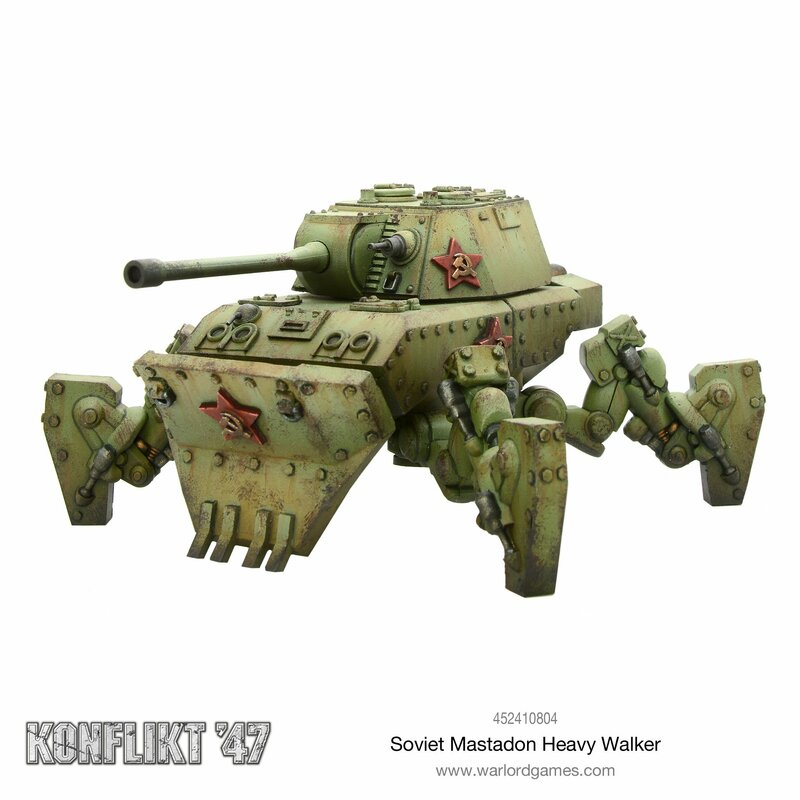 The Mastadon is a behemoth, well armoured, mobile and mechanically reliable. 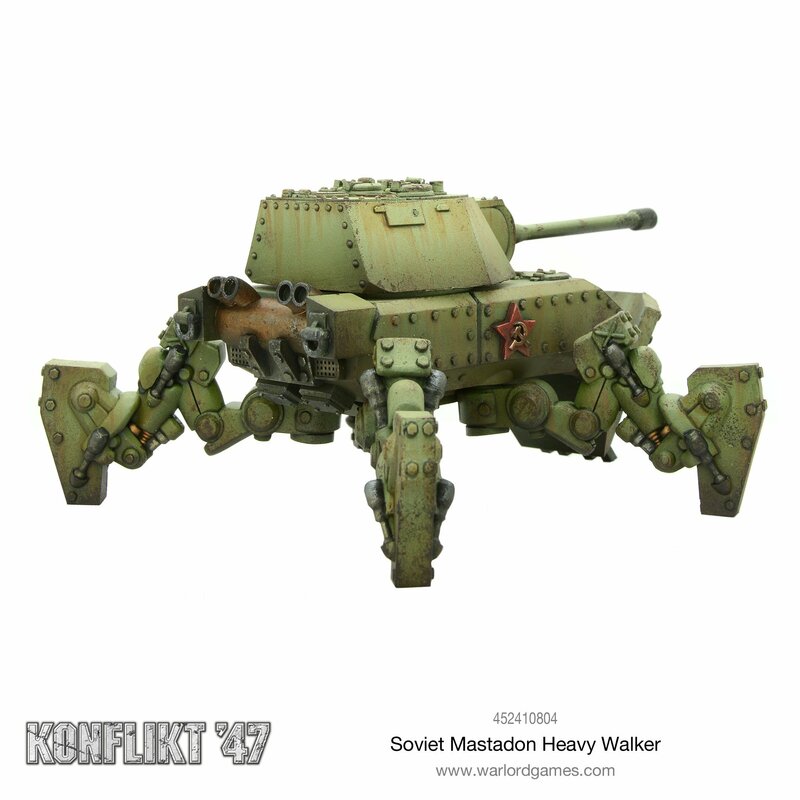 The design requirement to place the main gun in a turret has stretched Soviet ingenuity to the limit, but the result is effective, if not pretty. 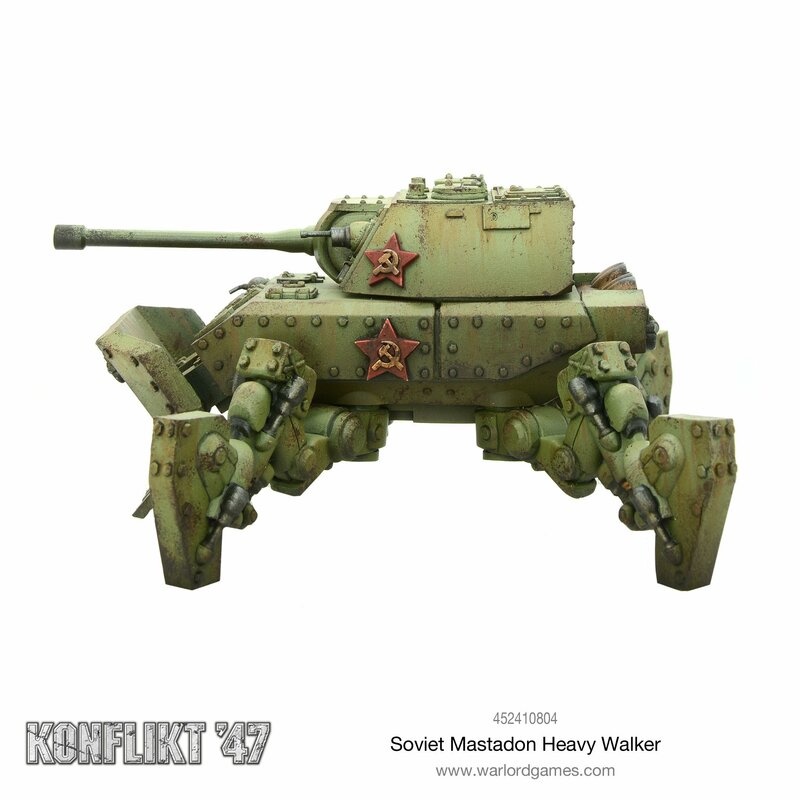 Its one weakness perhaps lies in Soviet limitations concerning anti-tank guns. 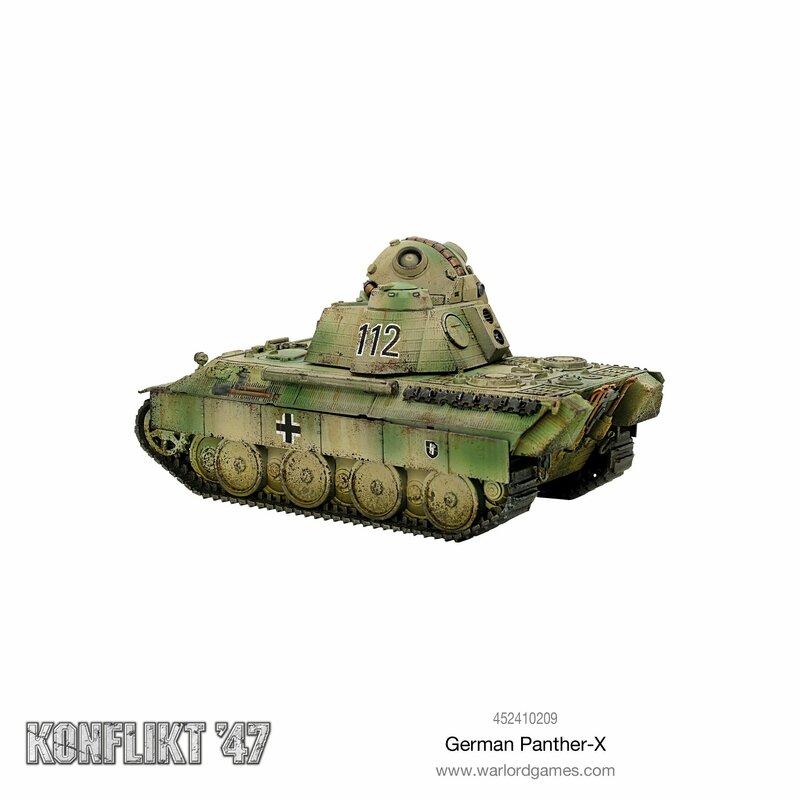 Unable to match the penetration of the German heavy calibre weapons, the Soviets resorted to the reliable 122mm gun that has proven itself in many of their tanks and tank destroyers. 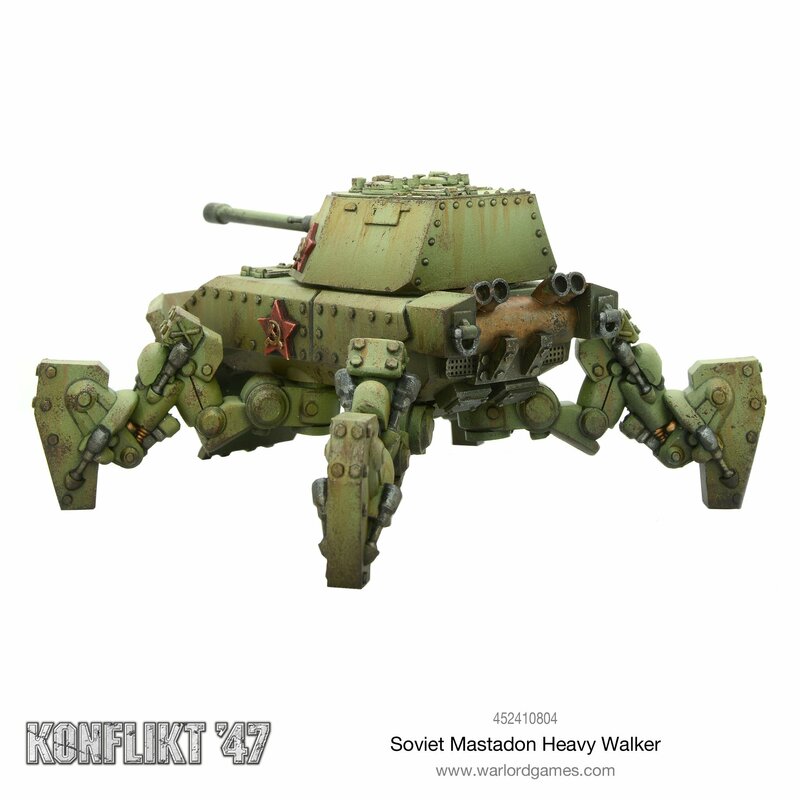 This weapon may not deliver quite the killing blow to heavy armour but compensates with a highly effective HE round that has more use against infantry and buildings. 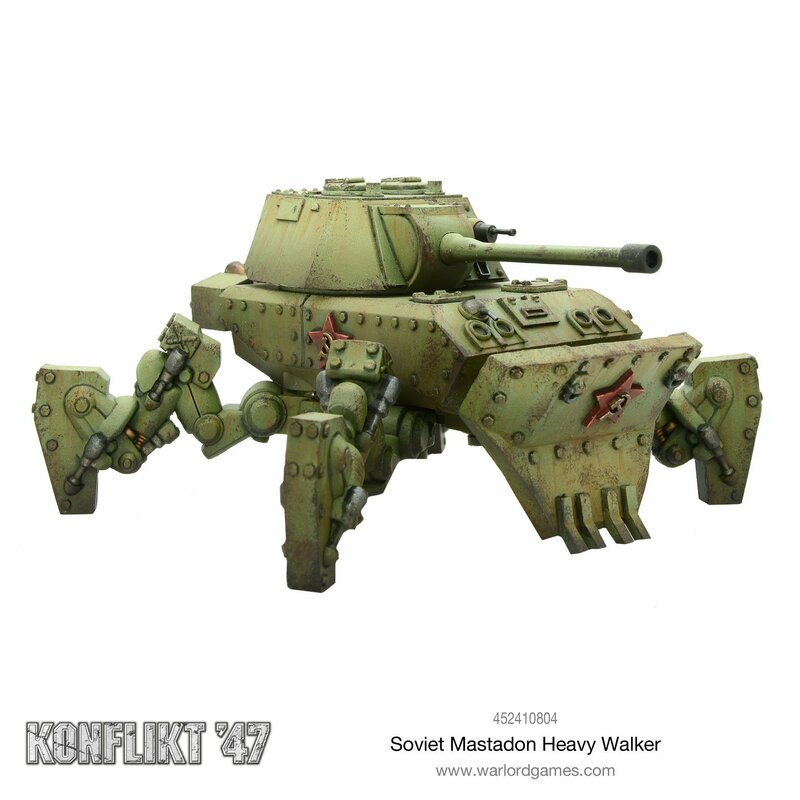 The Mastadon retains the obstacle-clearing plough which doubles as an effective extra layer of armour from the front, allowing it to operate in dense urban terrain if needed. 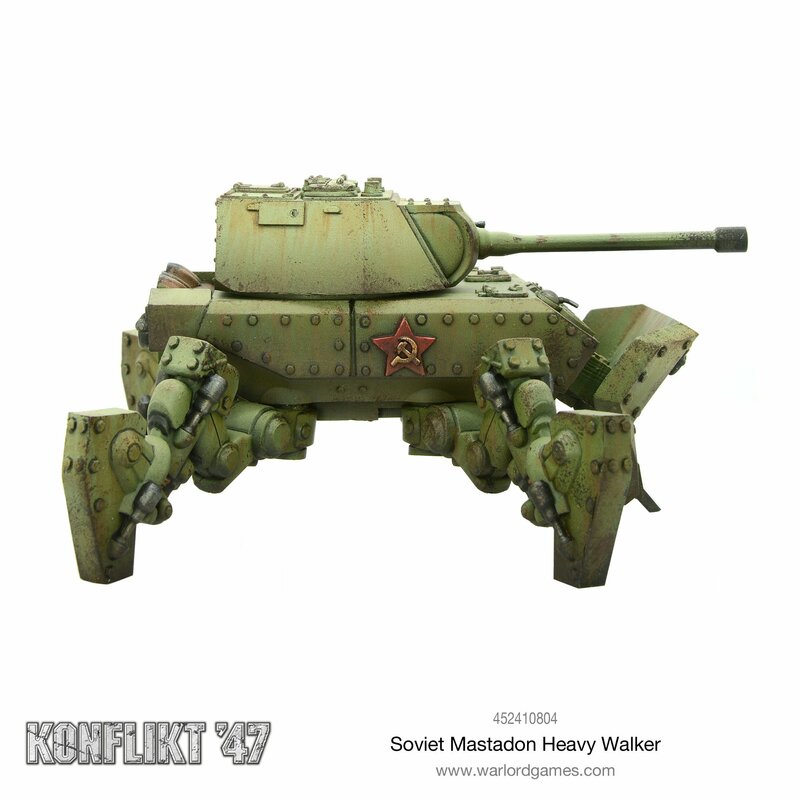 Numbers of Mastadons remain relatively low at this stage of the war, but their presence on the battlefield makes them a threat to both enemy armour and infantry. 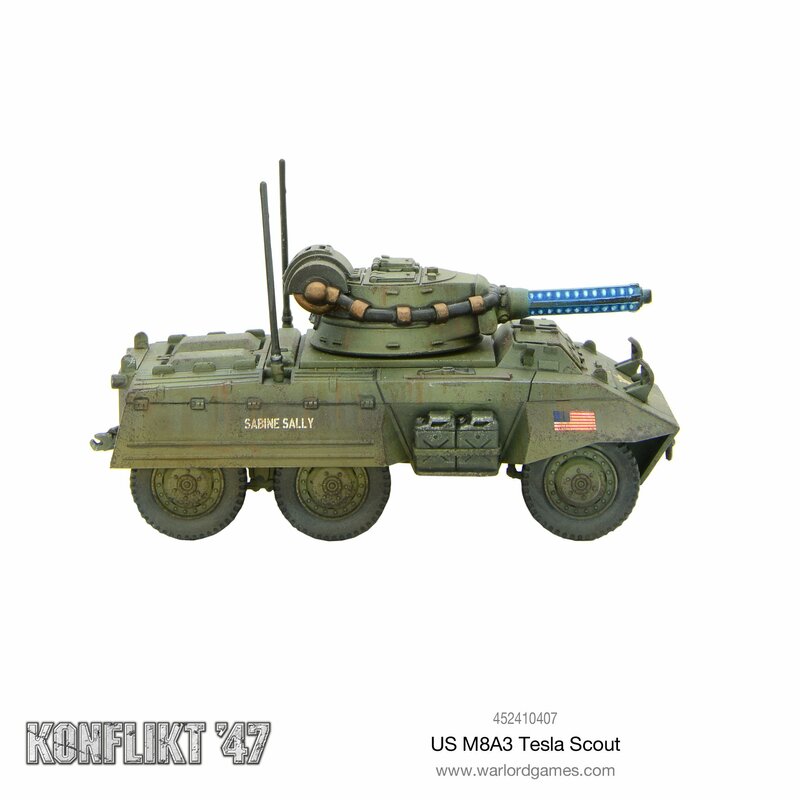 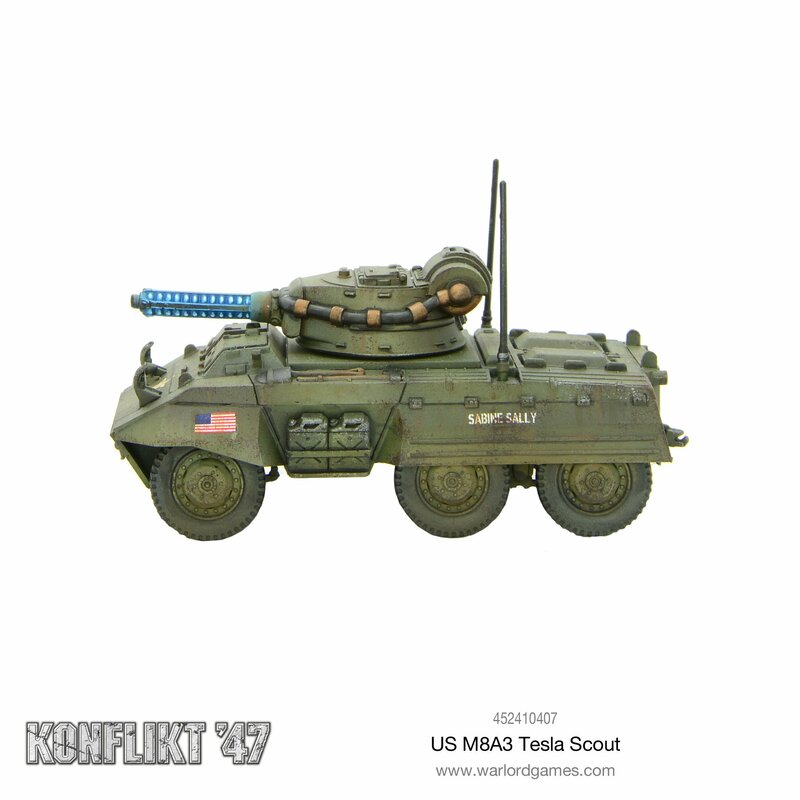 When the scientists leading the Rift-tech Tesla weapons programme offered the US military a lighter and smaller version of the Tesla cannon that had been so successful on the Sherman chassis, the military leapt at the opportunity. 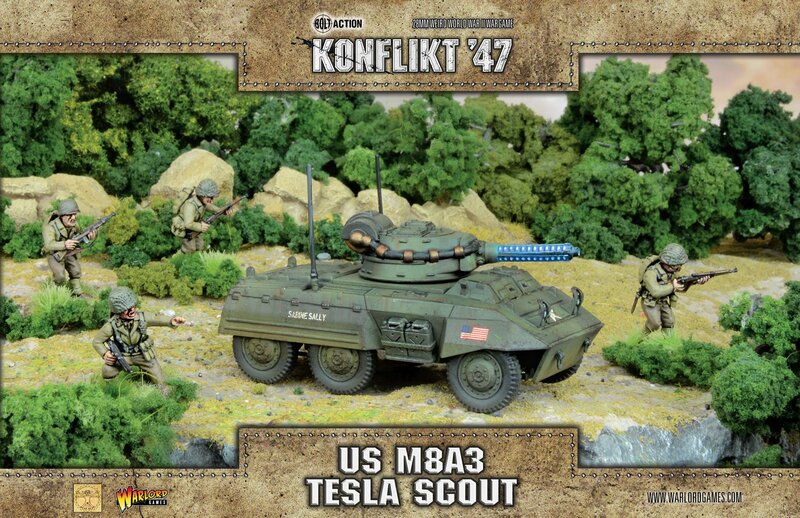 The addition of the Tesla cannon on the M8 gave recce units more firepower and an increased versatility against infantry whilst maintaining enough anti-tank capability to threaten their German counterparts such as the Spinne and Puma. 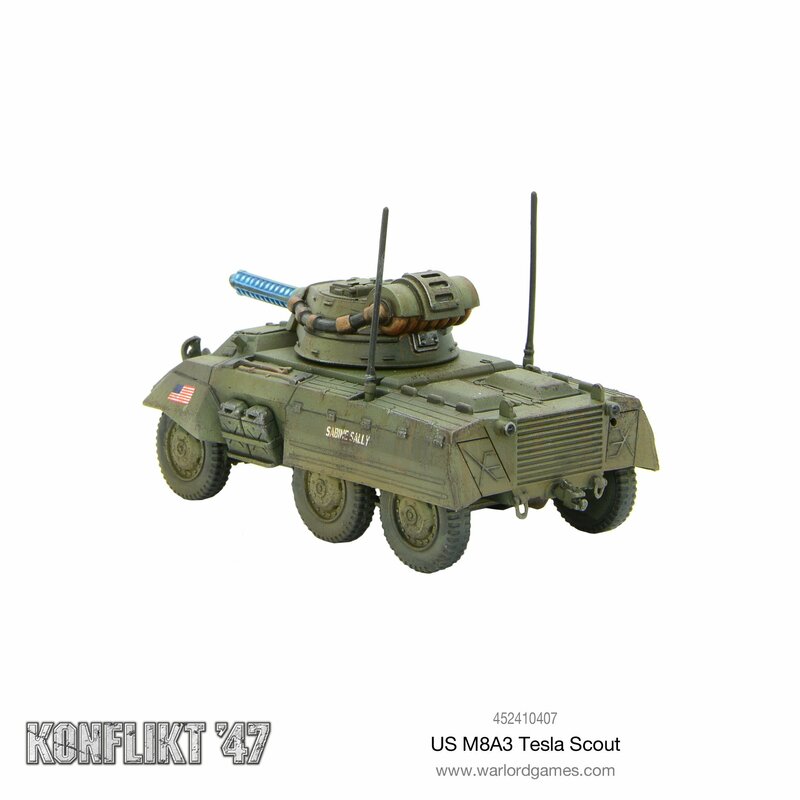 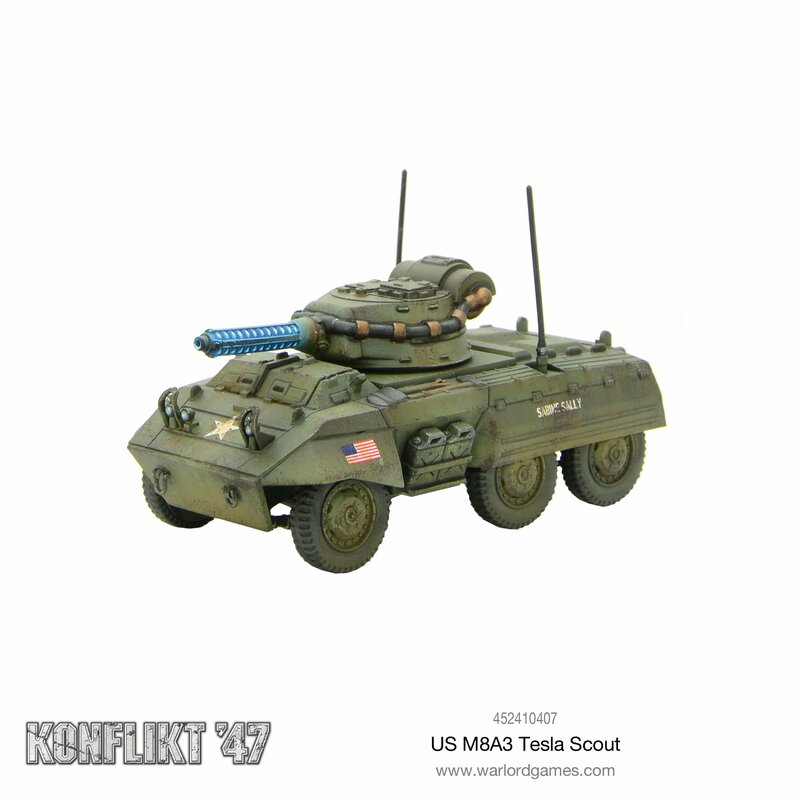 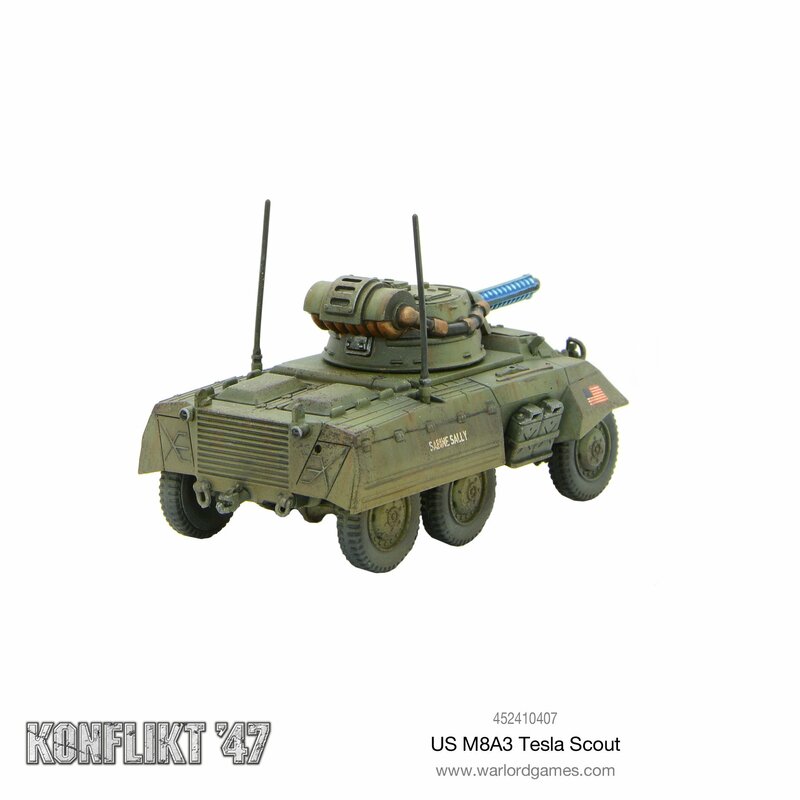 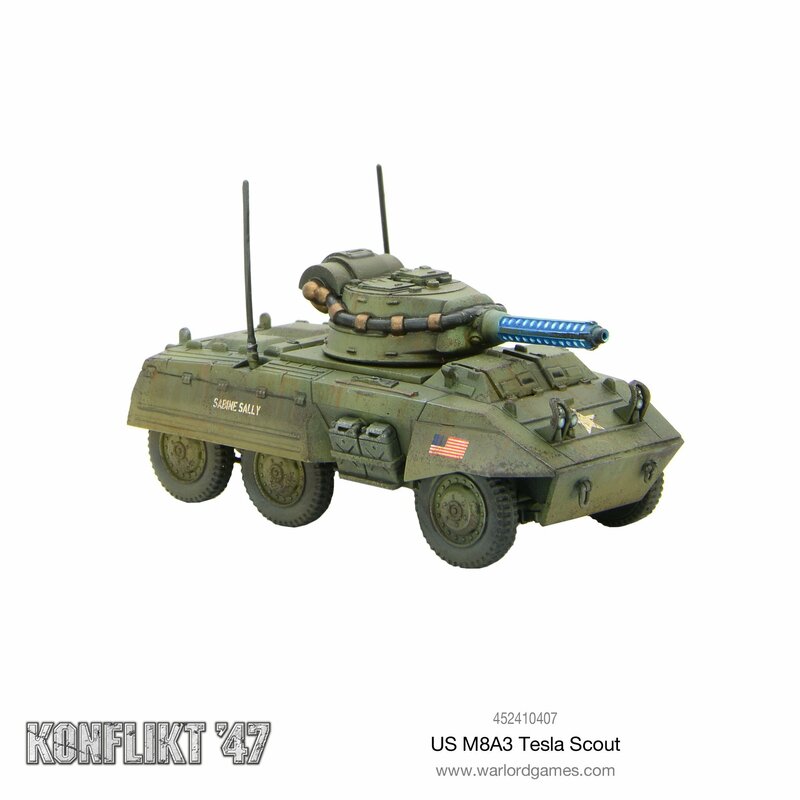 The lack of recoil in the Tesla Scout system meant very little work was needed on the chassis, although the weight of the batteries has shortened the lifespan of the vehicle’s suspension and gearbox; a worthwhile sacrifice from the crew’s perspective. 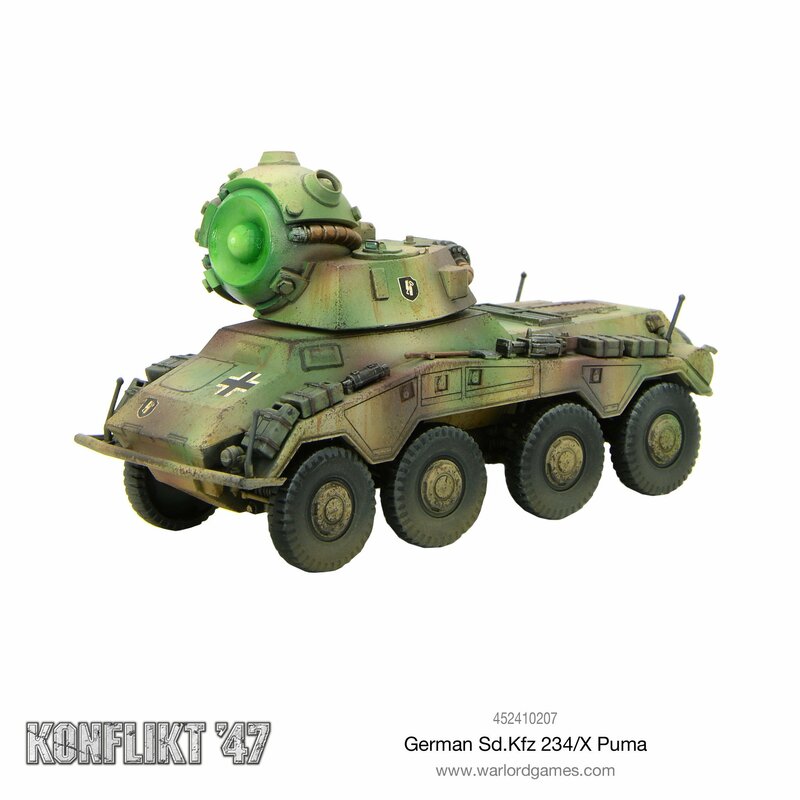 Recognised as highly versatile by the senior officers that appraised its early performance, the Schwerefeld Projektor had a reasonable anti-tank capability, a higher rate of fire than a traditional gun and a latent gravity field that restricted free movement. 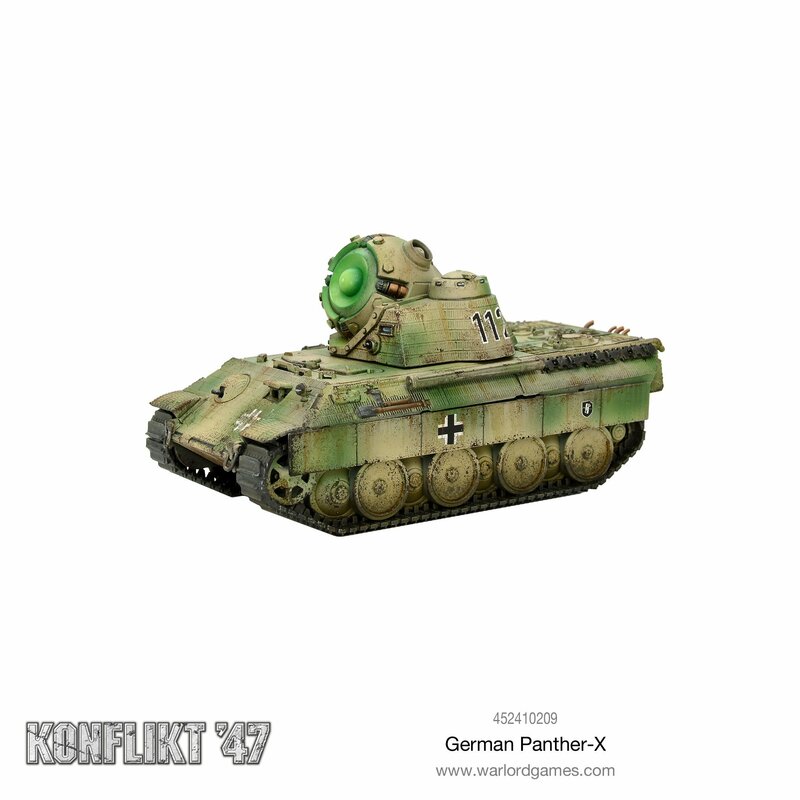 However, it was a weapon that required further enhancements. 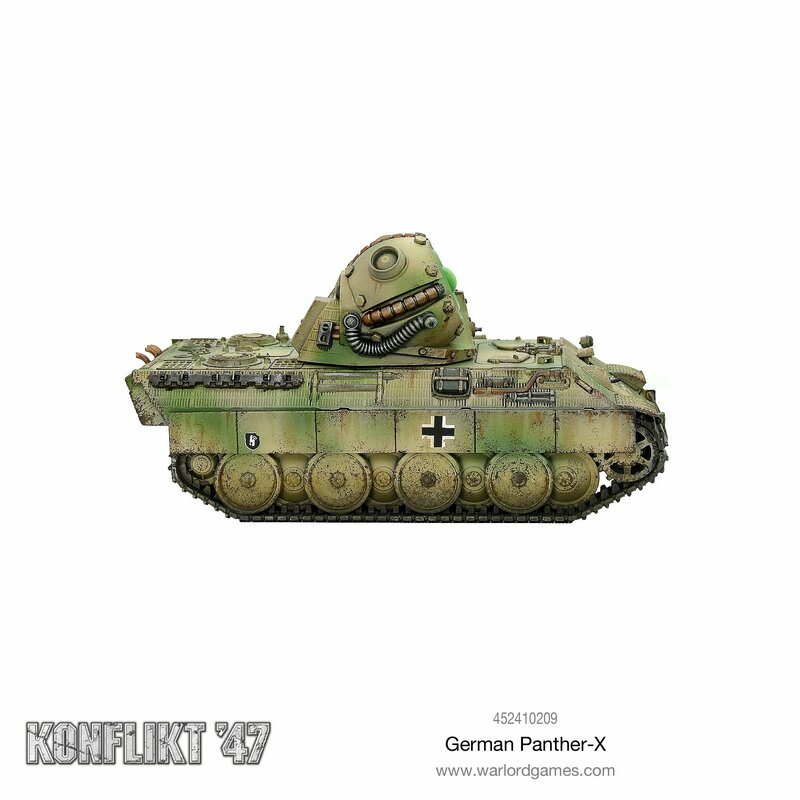 Having proved itself on the older Panzer IV chassis, it was decided to place a Projektor on the much more capable Panther chassis, where it would benefit from enhanced mobility and protection. 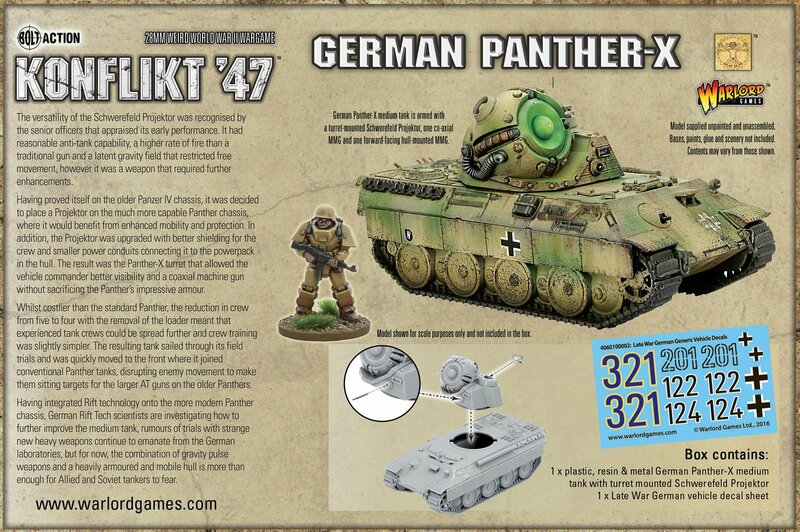 In addition, the Projektor was upgraded with better shielding for the crew and smaller power conduits connecting it to the powerpack in the hull. 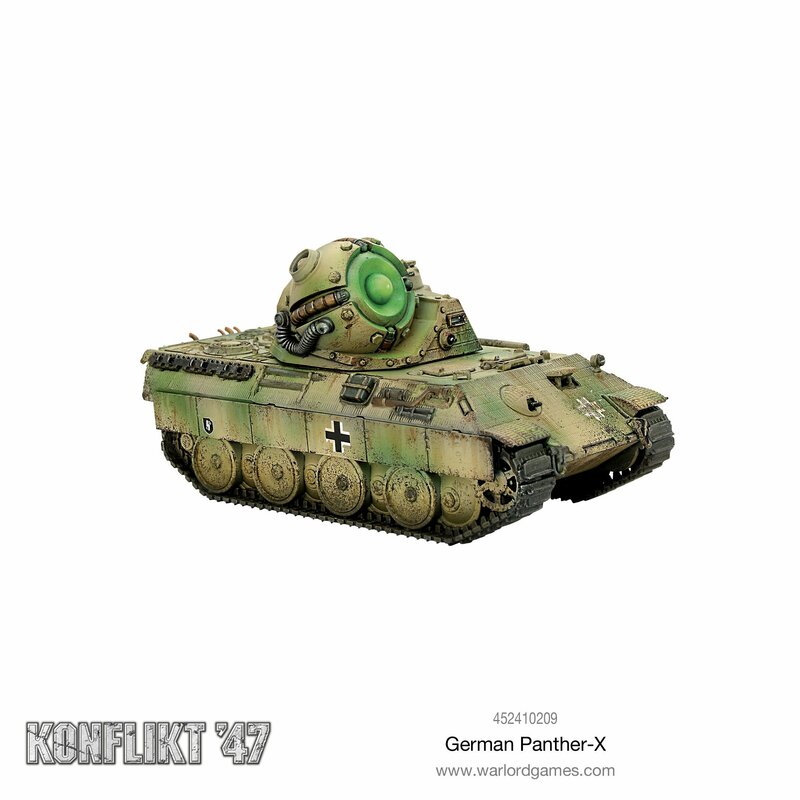 The result was the Panther-X turret that allowed the vehicle commander better visibility and a coaxial machine gun without sacrificing the Panther’s impressive armour. 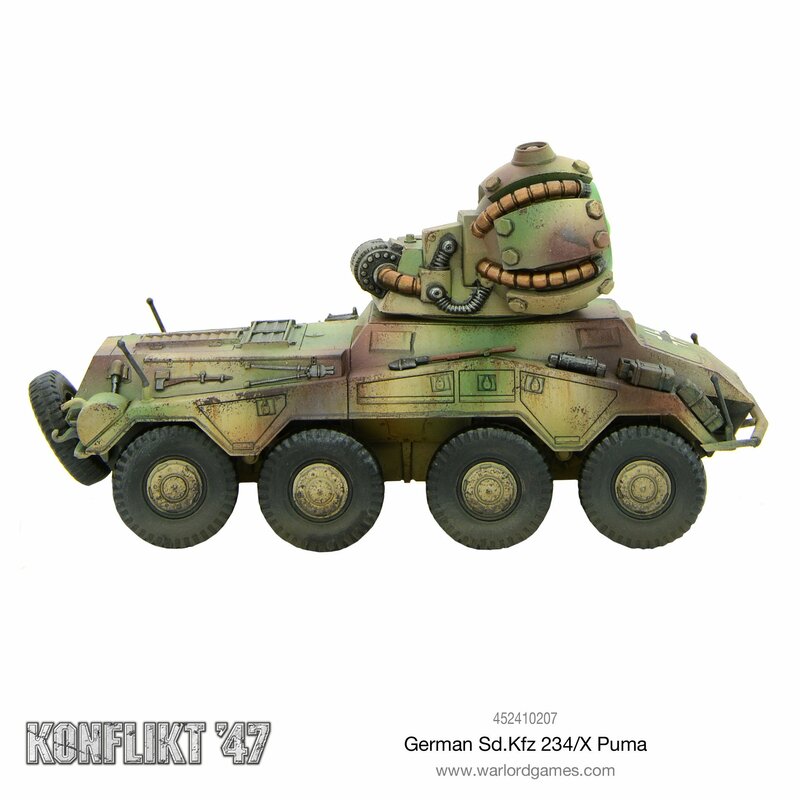 The highly advanced SdKfz 234 series of armoured cars are an obvious platform on which to place the latest advances from the German Rift-tech workshops in Dresden. 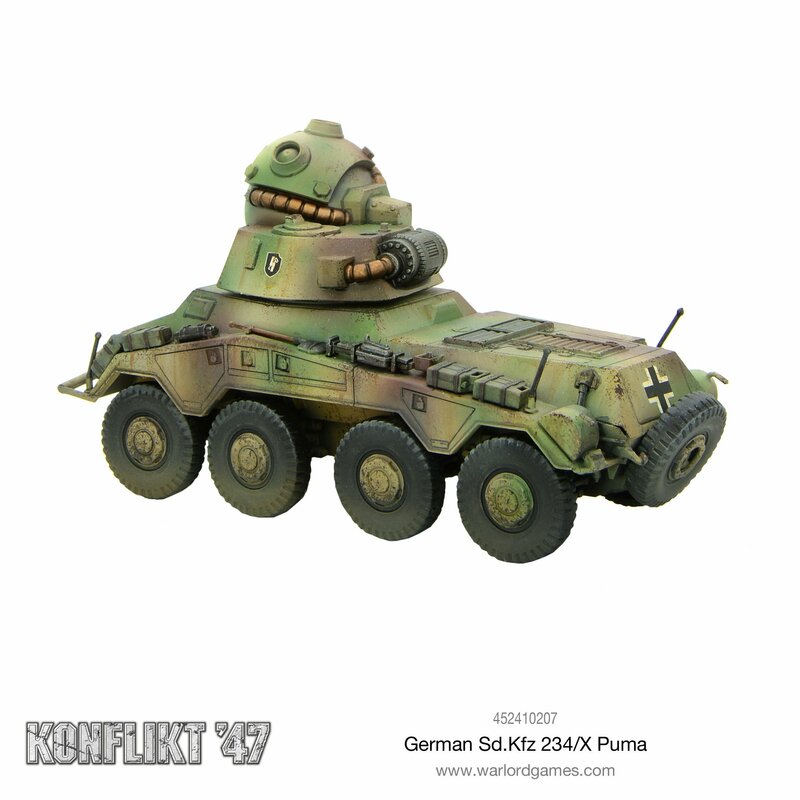 As refinements to the schwerefeld projektor continue to be made, its use on a variety of platforms is a natural result. 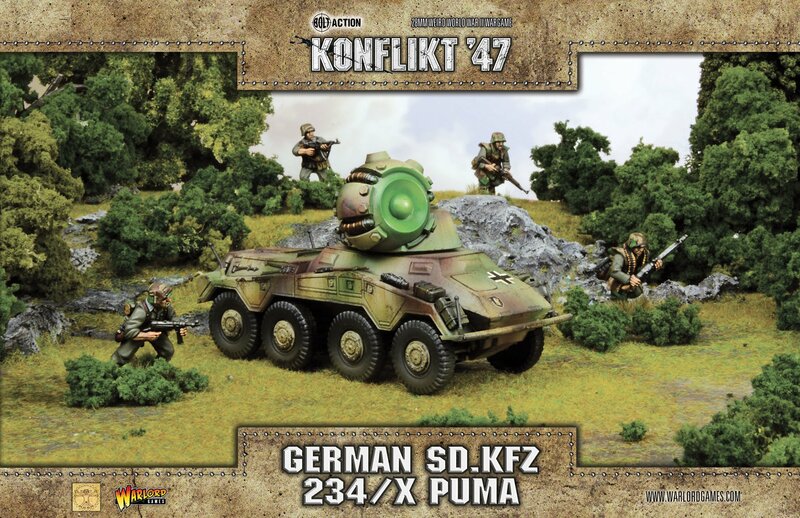 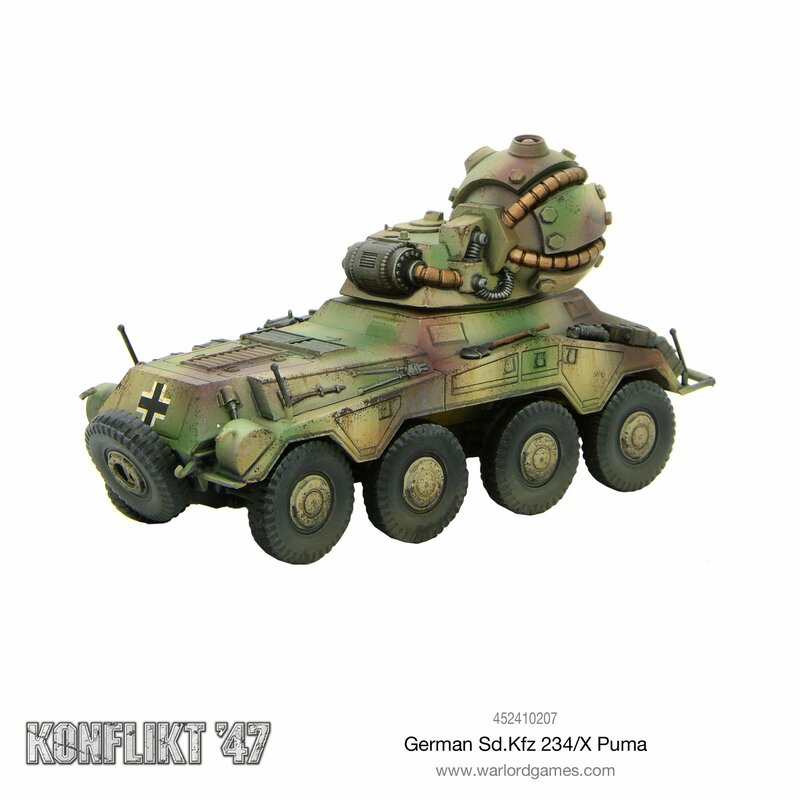 1 plastic, resin & metal German Sd.Kfz 234/X Puma suitable for Konflikt ‘47 German Army. 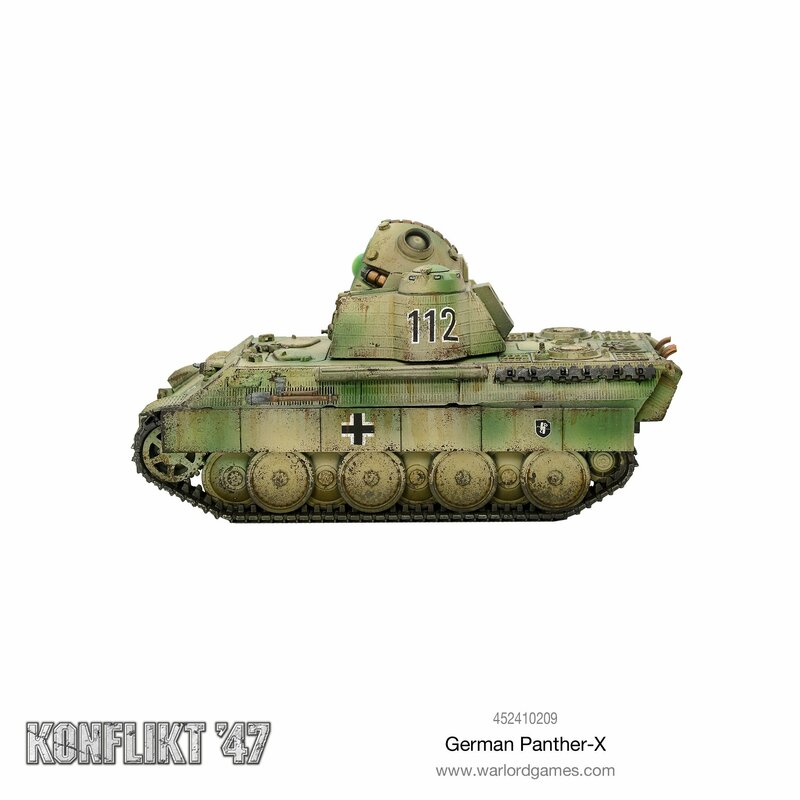 A full-colour waterslide decal sheet. 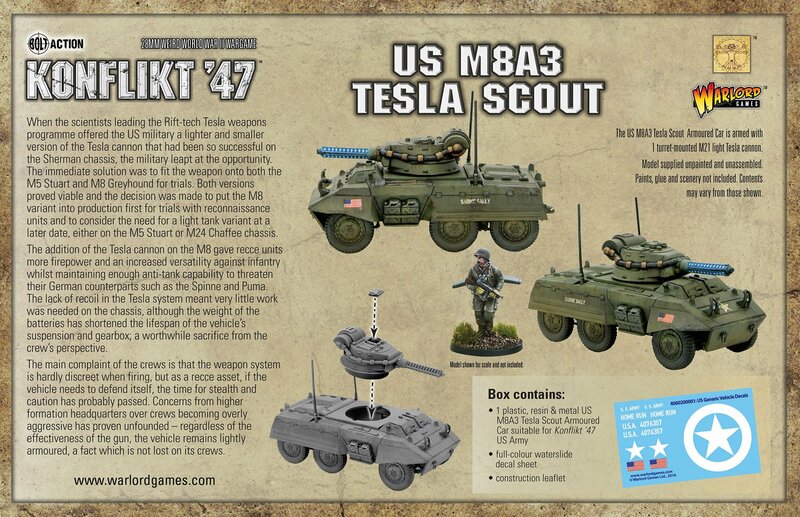 A detailed and thorough construction leaflet. 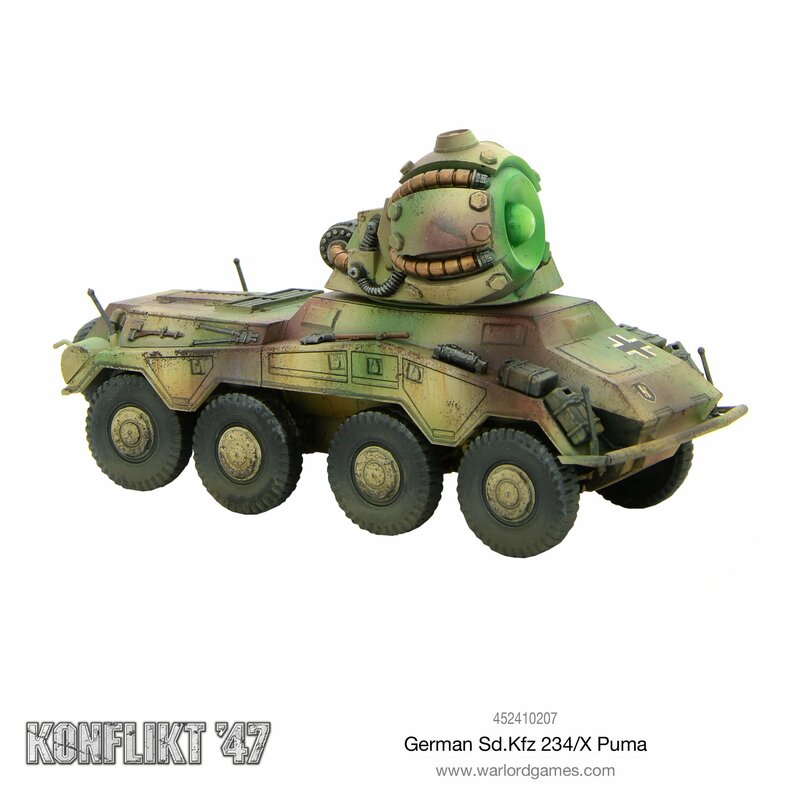 The Puma chassis is capable of mounting heavier weapons than its recce role requires, so the addition of a lighter version of the Schwerefeld projector presents both doctrinal challenges and huge tactical advantages. 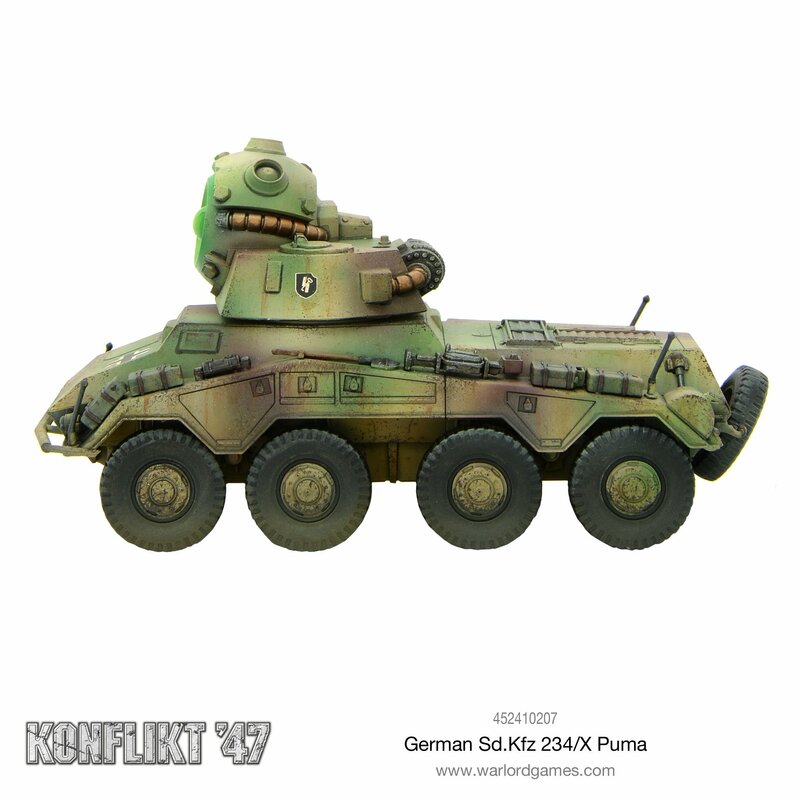 The combination of Rift technology on a well armoured, manoeuvrable and fast vehicle creates an effective tank hunter, certainly more than a match for its Allied and Soviet armoured car and light tank counterparts. 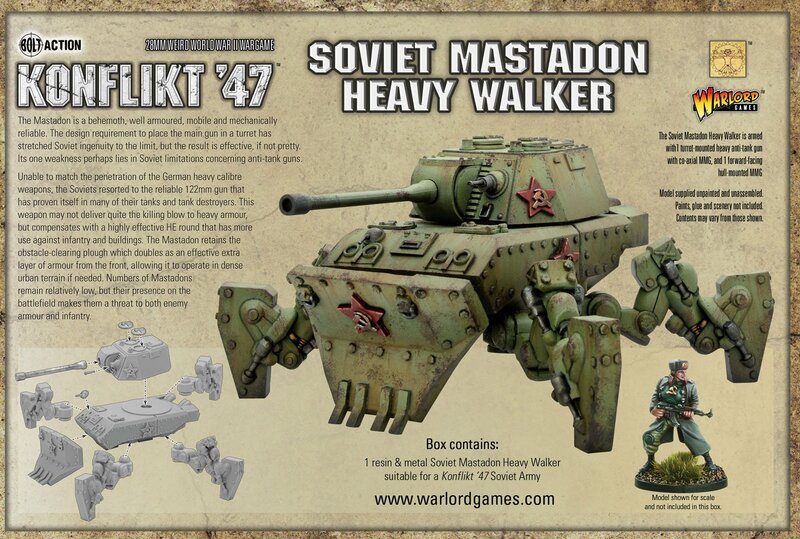 Ich liebe diese Ring of Red Walker einfach , aber auch die Bären sehen gut aus.